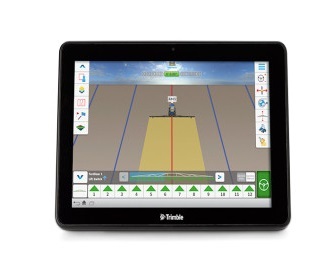 Farm World has over a decade of experience with Trimble products. We know the systems and more importantly, how to help producers find the right system for their farming operations. We have helped numerous producers operate more efficiently, save on input costs, and improve crop performance and productivity. No matter your field type, crop type, or vehicle, we help you find the Trimble solution to suit your needs. EZ-Guide 250 is an entry-level display providing high-quality guidance capabilities. It is ideal for farmers who desire basic precision ag functionality for fields that require lower-accuracy corrections. This unit boasts rugged construction for everyday field use, compact 4.3" color screen, intuitive user-interface, 15 built-in LED lights, one built-in GPS receiver and quick installation that's easy to learn. Package includes the Ez-Guide 250, Ez-Steer and upgraded AG15 Antenna. FM750 Display is compatible with a variety of accuracy levels and satellite constellations and is ideal for broad acre and row crop farming applications with almost any crop or soil type and field shape. 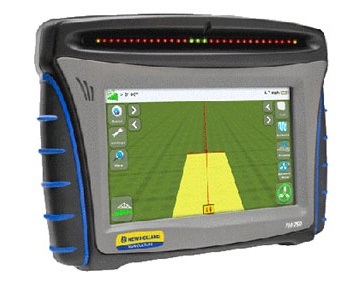 The FM750 Display provides seamless operation for many of your precision agriculture applications such as: coverage, point, line, area mapping, and manual guidance for a number of field patterns; hands-free guidance by adding Ez-Steer, Ez-Pilot or Autopilot. Features include: rugged construction for everyday field use, ability to add 2 cameras, mid-sized 8.0" color touch screen, intuitive user-interface, 27 built-in LED lights, one built-in dual-frequency GPS receiver and it is GLONASS ready. XCN-2050 Display is based on the popular Android operating system and offers a completely new intuitive user interface, enabling you to easily implement precision agriculture solutions as your business grows. Large 12.1" high-definition color touch-screen display, tablet-like interface with customizable run screen allows users to move and turn widgets on/off to meet your needs. Rugged construction for everyday field use, meeting demands in harsh environments. Package includes: one integrated GNSS receiver, one integrated camera with support for an additional external camera. 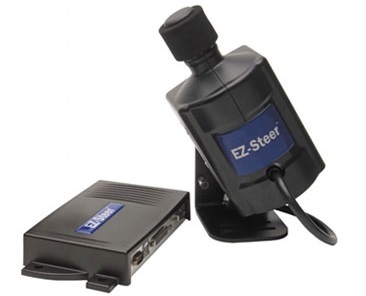 EZ-Steer Assisted Steering provides simple, hands-free farming for more than 1,200 vehicle models—so you can quickly and easily transfer the system to nearly any vehicle on your farm. EZ-Steer helps you keep your vehicle online, so you can relax and focus on your farming tasks and complete field applications more quickly, accurately, and safely. Improve accuracy in difficult terrain with terrain compensation technology; reduce operator fatigue and increase safety; operate day or night and in dusty or low-visibility conditions. 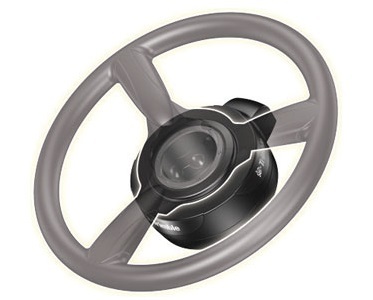 EZ-Steer turns the steering wheel for you by combining a friction wheel and electric motor from any Trimble display. 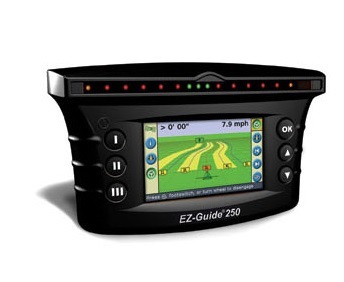 Connect it to the EZ-Guide 250, FM750 or FM1000 Displays for high-accuracy guidance and precision agriculture capabilities. EZ-Pilot System turns the steering wheel with its integrated electric motor drive using GNSS guidance from the FM750 display or the FM1000 integrated display. T3 Enhanced Terrain Compensation Technology immediately adjusts vehicle steering to compensate for rough terrain or slopes and hillsides. Fast-reacting motor allows the system to quickly get the vehicle online and stay there. Ez-Pilot provides better steering with more rigid power steering system; steering system installation preserves the use of the vehicle's original steering wheel and telescopic functionality. Ez-Pilot features a sleek design with the motor integrated into the steering column, providing clear access to the instrument panels and controls in the cab. The flexibility of the system also allows for unrestricted manual steering when the system is not in use. 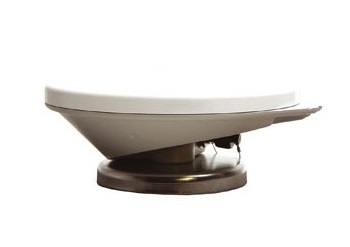 AG15 Antenna is an upgrade kit for Ez-Guide 250 and Ez-Guide 500. It allows the EZ-Guide 250 or EZ-Guide 500 to achieve 6"-8" pass-to-pass accuracy with WAAS, EGNOS, or MSAS corrections. Field IQ Crop Input Control System is a section control and variable rate application control system that prevents seed and fertilizer overlap, controls the rate of material applications, and monitors seed delivery or fertilizer blockage. Field-IQ system runs on both the FM1000 Integrated Display and FM750 Display to control your planter, air seeder, sprayer, spreader, and anhydrous ammonia strip-till.